These world-renowned gardens are to be found on the eastern slopes of Table Mountain, adjacent to the suburb of Bishopscourt, and are within walking distance for some residents. The name is believed to be derived in part from the surname of an 18th century manager of the land, J.F. Kirsten, and in part from the Dutch word ‘bosch’, meaning forest or bush. The land, previously farmland, was bought and bequeathed to the Nation by Cecil John Rhodes, who died in 1902. In 1913 Sir Lionel Phillips suggested the establishment of a National Botanical Garden at Kirstenbosch, and later that year Louis Botha, the Prime Minister, agreed to his proposal. 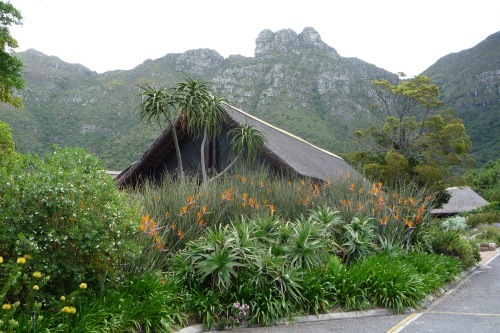 Guided Garden tours are offered daily, and in summer the Kirstenbosch Sunset Concerts are held.